Back in the day many people used a manual push mower or reel mower. 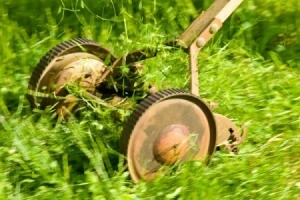 If you have purchased an older model you probably have no documentation on the mower. This is a guide about finding a manual for an old reel mower. I'm wondering what the value of a King O' Lawn reel mower is. I believe it is a 50s model. Reel mowers are specialty items meaning they are not very often considered real collector's items and can only be used by a very small section of people. They still sell but are usually considered to be very slow sellers. Still, they do sell but value will be based on the brand (well known brands sell better, such as Toro), the condition, number of blades, and are blades in good/new condition. The movers with 5 blades are popular but expensive to replace and also expensive to have sharpened. You will see some reel mowers listed with shipping costs but many sellers will have pick up only as shipping is expensive and that just adds to what a buyer has to pay for the mower. Shipping costs is one of the reasons many people opp to list on their local Craigslist so they do not have to ship. I would suggest you check reel mowers on your local Craigslist and maybe USA4Sale to see if any are selling or if there are even any listed. January is not the best month to try to sell a lawn mower. Here is a link to the reel mowers that have sold on eBay over the past several months (no King O'Lawn sold) so you can see what different brands are actually selling for. As to true value it is difficult to state as a lot depends on the condition, where it is located and especially the condition of the cutting blades. 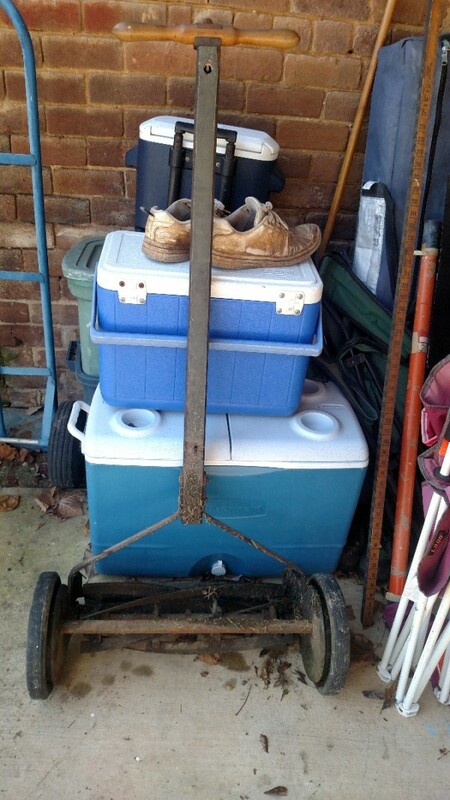 I have a vintage Scotts Silent reel mower with mulch bag. What's its value? Determining value is a challenge as I would need to know the exact model and condition and then how I value is go to eBay and look at SOLD auctions and see what they are getting. If there is more than one, I average together the prices (use sold price + shipping cost). If none are UNSOLD, and there are just current auctions, I set up a watch on eBay and watch it to see if/when it sells and for how much. I do this because value is only what someone will actually pay for an item. People can ask the world, but if someone won't pay for the item it is "valueless". It is important when doing doing the match to eBay to use the EXACT MAKE/MODEL AND CONDITION to judge the value. There are often similar items where one is VERY valuable (more rare or desirable) and one not so much. Obviously a pristine still in the box version would fetch more than one that had been run hard and hung out to dry also...so condition does matter. By doing apples to apples, you can be comfortable in the value of your EXACT piece. Hope this gets you started in valuing the item. This person is asking $50. 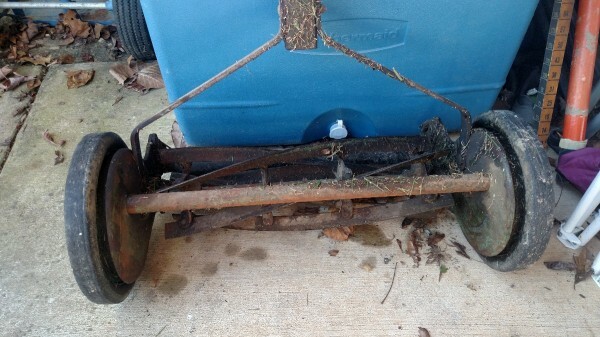 There is a similar mower listed on eBay for $50 but so far, is still unsold. 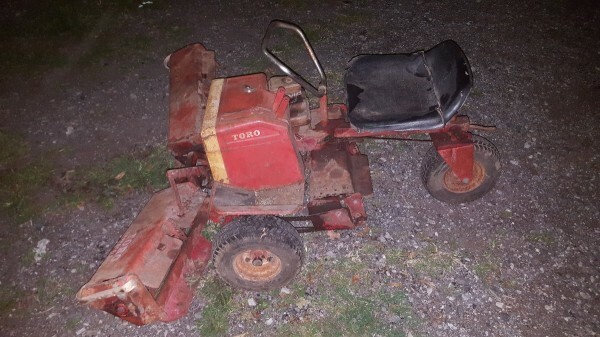 It is not always easy to sell a vintage mower (in what kind of condition?) when a new model costs less money so that is one problem with selling vintage mowers. The other problem is shipping cost. And, to a seller, it can be a nightmare to pack a used mower for shipping because it cannot have a drop of gasoline in or on the outside as the smell will seep right through most packing. USPS is very strict about this but I'm not familiar with how UPS handles this. That is why you will find almost all listings will have "pick up only" which means the buyer lives in their area and will pick up the mower. This is essentially like a local Craigslist listing only eBay/PayPal charge fees and Craigslist does not (usually). 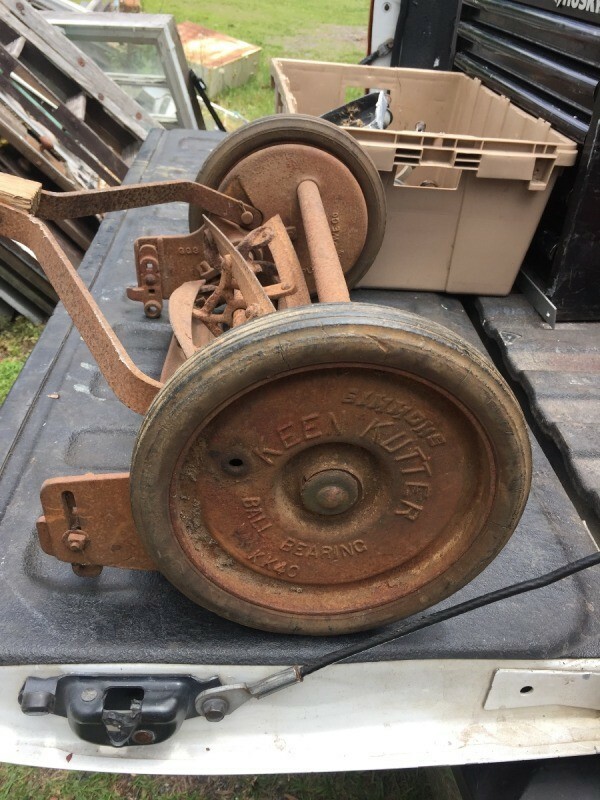 Take a look at the reel mowers that have sold on eBay over the past several months (includes some similar ones) so you can get an idea as to what people are paying but also note where the mower is located - city/state of seller. Paid prices are in green. 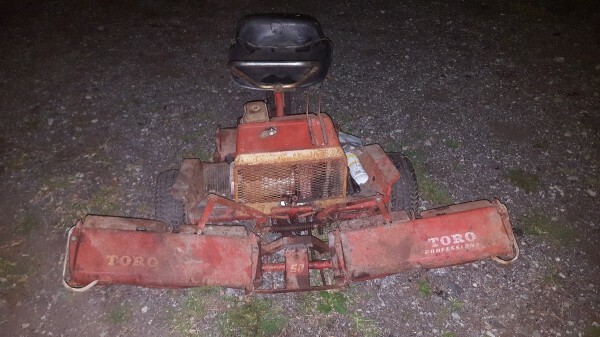 I have a Toro Professional 58 reel mower. It runs and mows. I would like to know if it's worth anything and how much. I also have a Flymo 2 cycle; is this worth anything? I'm cleaning out some of my stuff I've collected over the years. Thanks. Your Toro may be worth $350-$550 depending on the overall condition (even the cosmetic condition counts when selling) but a lot would depend on where you are located as these machines would have to be picked up. You could list it on your local Craigslist (cleaned up and with several photos) for $500 and see if you get any takers. You can always drop the price if no one seems interested. This is something that anyone has to see and hear running before they would pay serious money. Here are a couple of links that has information on parts and shows a good diagram of each part of the machine. The ad Judy is referring to is for a motor and not a mower. 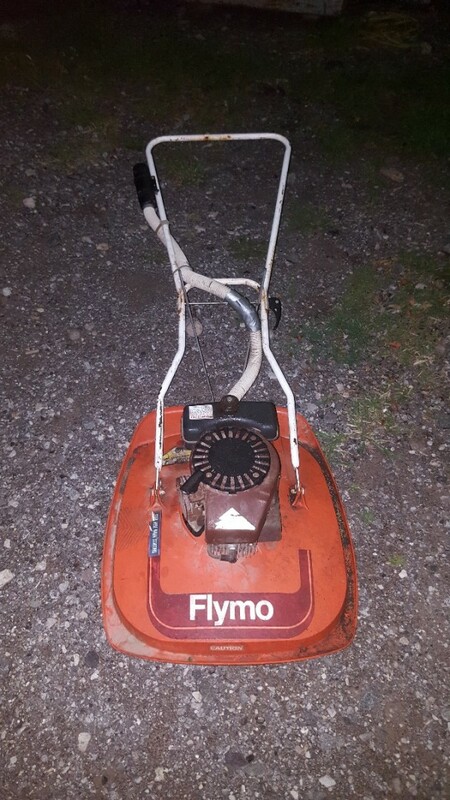 As to value of your Flymo - you may have it priced a little high (your eBay listing) but then again, these are still popular and there is a lot of interest in vintage mowers right now so good luck - hope you sell it. 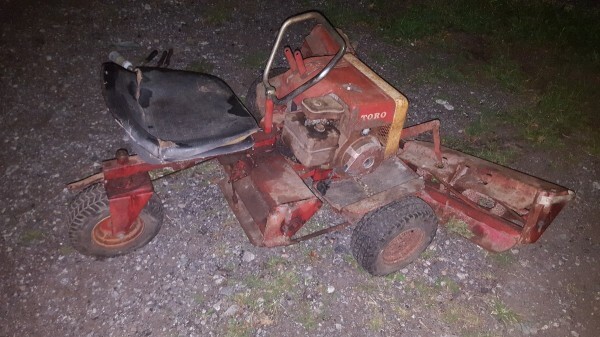 There is another similar mower listed but it has not been tested so the seller will probably not be able to sell his. 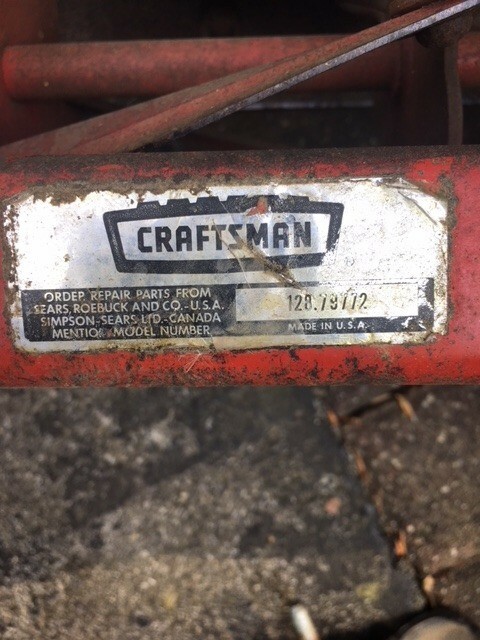 I have a Craftsman reel mower, model 128.79772. I was wondering what year it was manufactured and where can I get a manual for it? I contacted Sears already and they said they have no manuals or parts for it as it was made before 1980. I am sure there are parts and knowledge about this machine, somewhere! Thanks. It is a reel type and rusty, but works. GQ3 part number GG2, 16 in, 1906. I haven't seen any comparable ones sold. I can see from the few unsold that people are asking in the mid 50s and low 40s and that they are going unsold. Because online is not always the best way to sell hard to ship items like this, to get an accurate value for your particular area, you may want to consider checking your local tag sales or flea markets to get an idea of the value in your area. Selling is all about supply and demand...and if there are a bunch of them out there, it drives the prices down. If they are rare in your area and someone wants one, they will be willing to pay a little more. What is value of manual reel mower? Age? 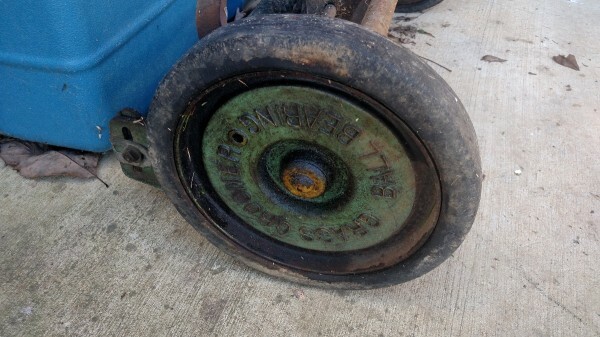 It says Grass Groomer Ball Bearing on the outside of the wheels. 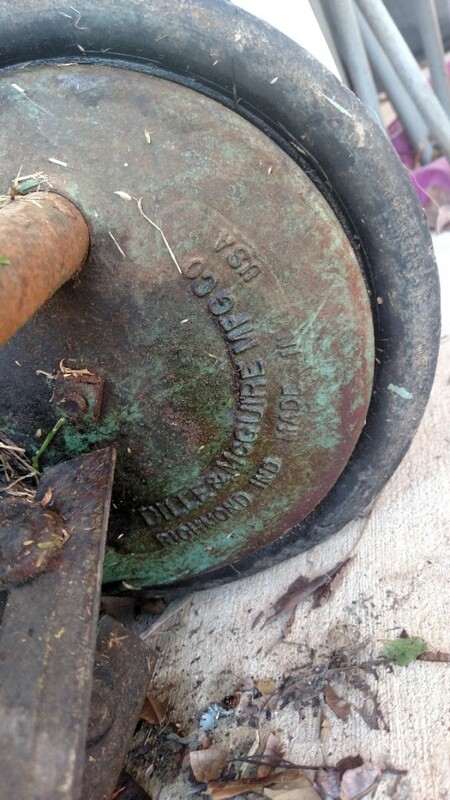 It says Dille & McGuire Mfg. Co. Richmond Ind., made in US on the inside of one wheel. My husband passed away recently. This was one of his prized possessions, his grandfather's Briggs and Stratton motorized reel lawn mower that he used over 35 years ago. Without a photo or model number it is hard to put an exact value on it as apples to apples comparisons are the rule in my world...sometimes there are similar items where one has a HUGE VALUE and the other NO VALUE. Condition is also critical as one person's excellent is another persons poor. I want to get it right for you! Also, you didn't say if you are asking because you want to keep or insure it. That will make a difference. Your home owner/rental insurance agent can help you with insurance value since they are the experts. If it is to sell...and you can offer more info, I would be happy to dig around for you. I was given an old reel mower for which I would like to have an owners manual. The front plate says: Pennsylvania with a model number of R15 and a serial number of 40302. I would appreciate any information about this machine.